Woke up early today again. While waiting for the Tham Family to wake up, we drove around town again. This time we tried venturing to the west of the village. 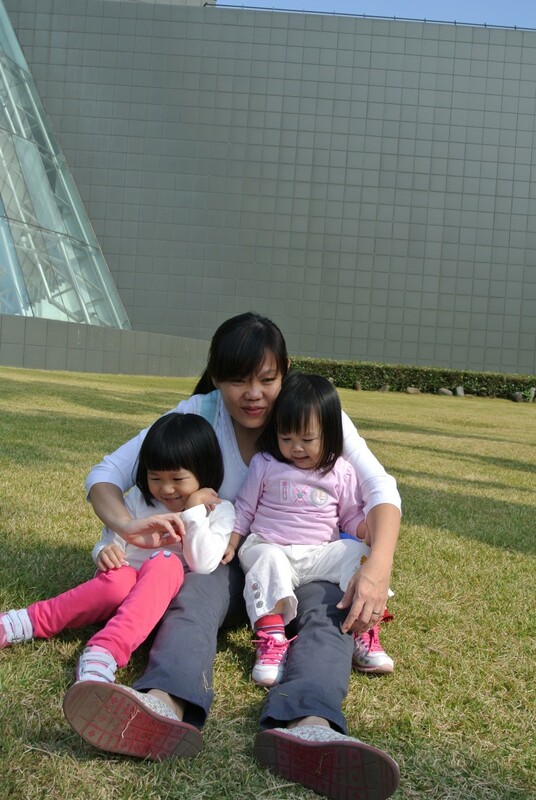 Nothing much around, so we heads back to meet up with the Tham family. 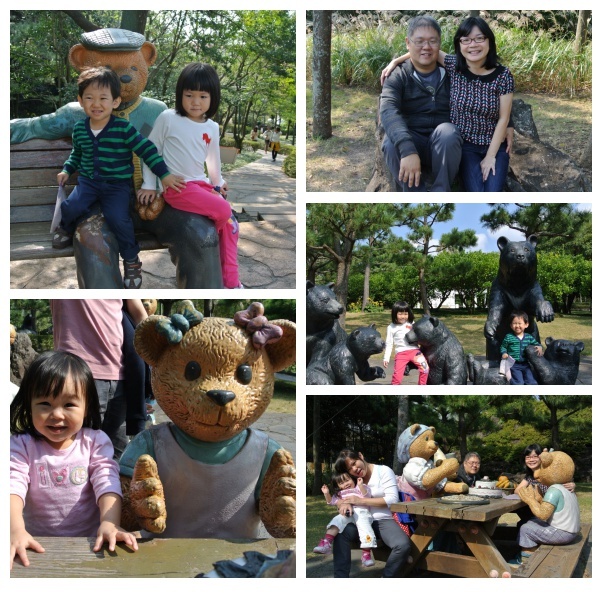 Today we are heading to Jungmun Complex and the first stop will be Teddy Bear Museum. 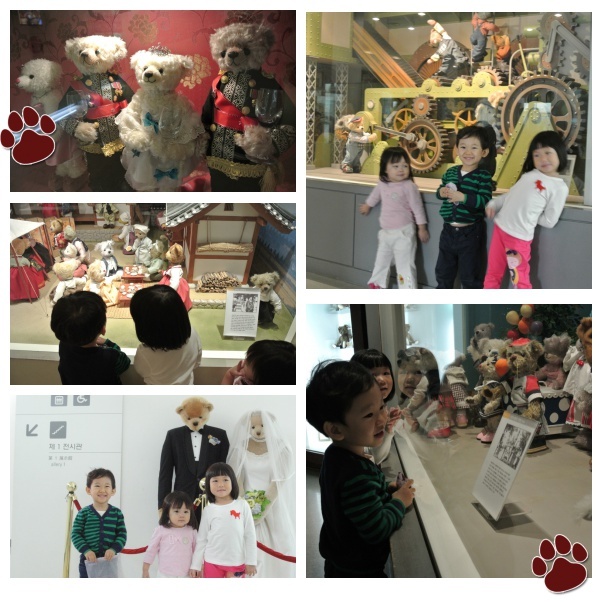 Since it is a Museum, it is purely exhibits of teddy bears from various countries, some exhibits highlight history events using Teddy Bears. In the History Hall, you can witness the 100-year history of teddy bears including famous scenes, popular teddy bears of different eras, and antique teddy bears. In the Art Hall are the latest artworks of world’s famous designers. 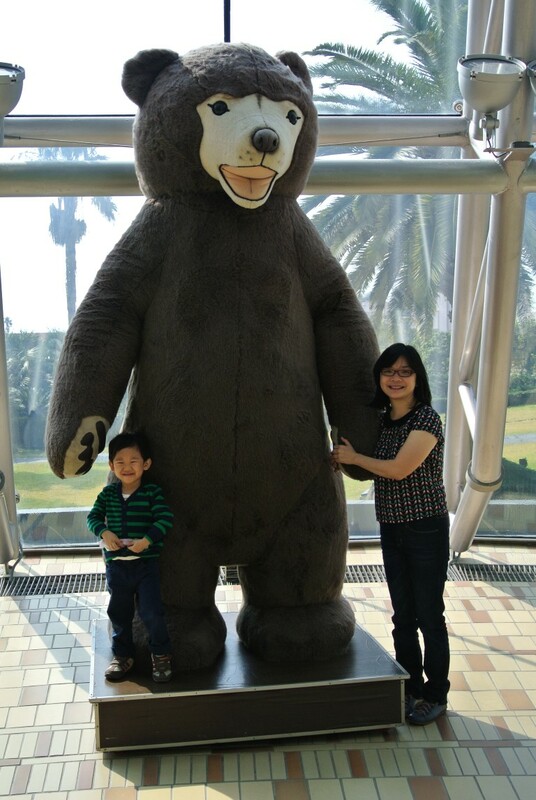 But what we enjoy most is the outdoor exhibits, which the kids enjoy posing with live size teddy bears. 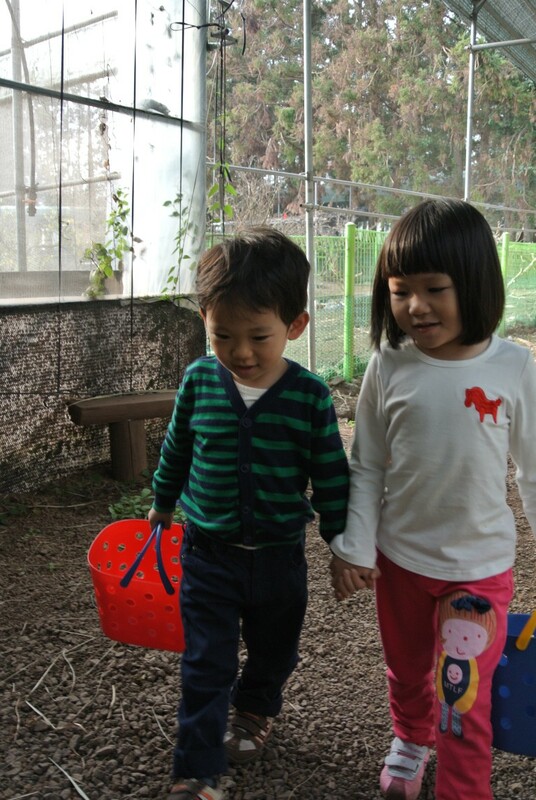 The kids enjoy the outdoor more running around the garden. Too bad the little Kaylene was unable to catch up with the older kids. We decided to visit the next door Chocolate land. A bit disappointing with what was inside. Basically, nothing much inside. Just rows and rows of chocolate and some samples to try. There is a class where they teach you to create your own chocolate. However, since the lesson is conducted in Korean, we thought that we would probably not understand. Since it was about noon time, we decided to go for lunch. Not wanting to risk not finding any food to eat, we decided to head to the nearby tourism information booth to get some direction. We were directed to a nearby strips of restaurant across the tourism booth. 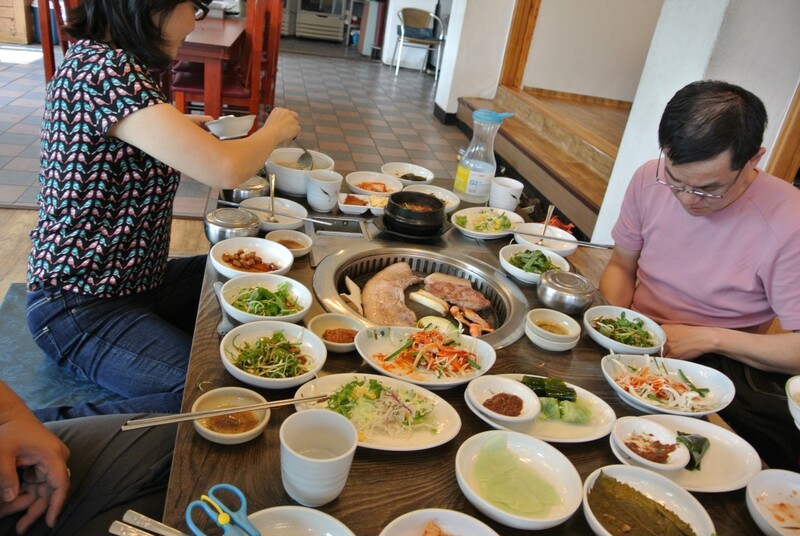 We decided to try Jeju Black pig, so we head into a restaurant that serve BBQ. In no time, a big slab of pork was sizzling in front of us. Next stop… we decided to get the kids to have a short nap in the car. Therefore, we decided to head east to an Mandarin orange + Animal petting farm, which we picked up a brochure from the tourism booth. Took a slow drive, so that the kids can sleep in the car. After an hour ride, we reached the farm. Can’t remember the name of the farm. But it is somewhere out of Seogwipo. Once we reached there, we were asked to pay 7000W for basket (for the oranges) which comes alone with animal feeds. They wanted to charged Jaydon, however, I guess because of the difficulty of communication, they let us pay for only 2 adults. The first part of the farm is the animal farm. 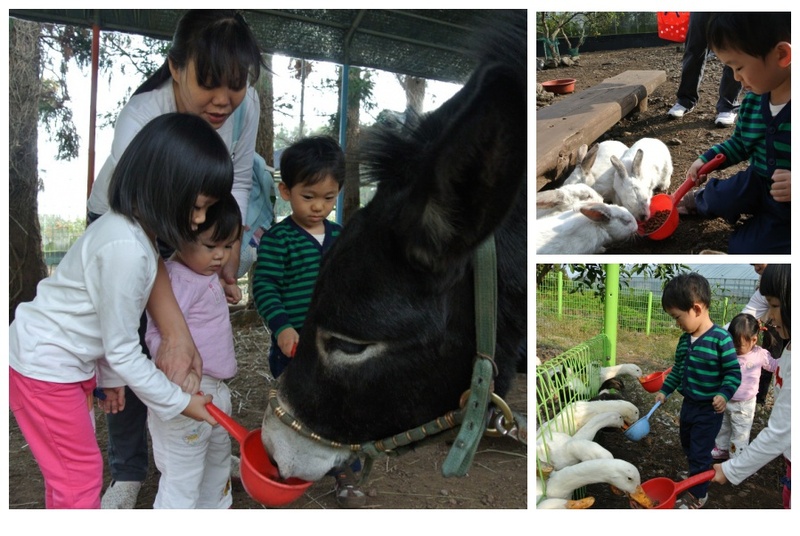 With the feeds that is given, the kids enjoyed themselves feeding Rabbits, Donkey and Ducks. After that, the farm trails led us across the road to the Mandarin Orange Orchard. 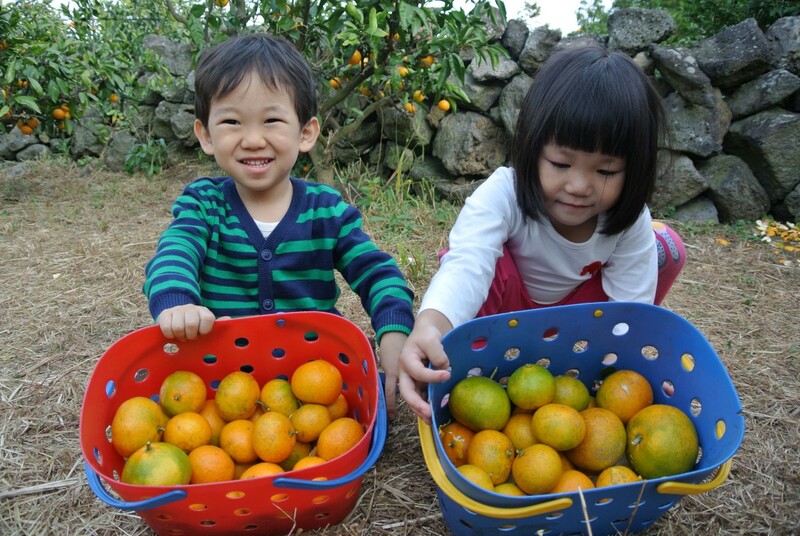 The rule of the Orchard, is that we are allowed to eat as much mandarin orange in the farm. 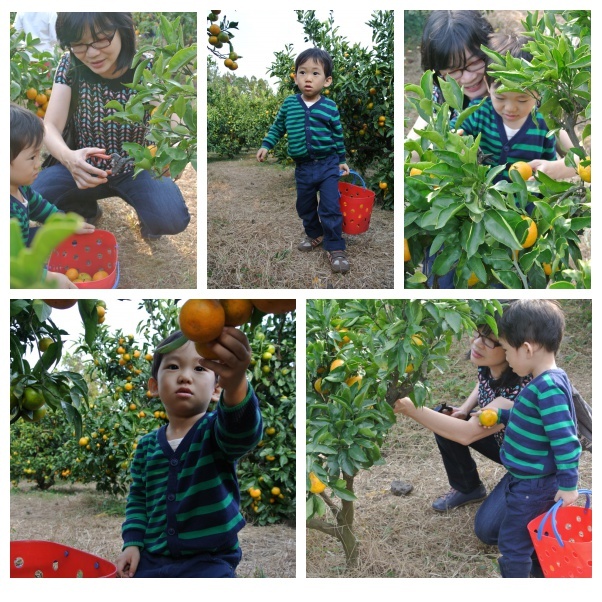 However, each person are allowed to take 1kg basket full of oranges from the orchard. As it is the start of the orange season, the oranges were not that sweet, but I guess it just the fun of plucking fresh oranges from the tree. Before long, sun is setting and we decided to leave the orchard. We head back to Seogwipo and decided to drop by E-Mart to do some shopping. We had dinner at the food court. One thing good about Korea food court is that plain water is free. It seems that Korean encourage drinking plain water as compared to drinking soft drinks. After dinner, we decided to head back to rest. Really sorry, I did not keep a copy of the brochures nor keep the phone number. 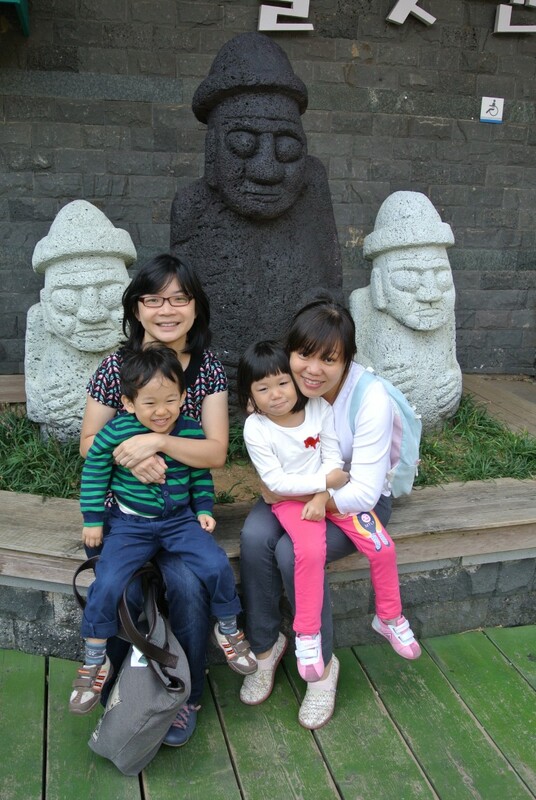 However, if you would to drop into one of the Tourist Information Centres in Jeju, you will find numerous brouchure there. You should be able to find the brouchures for Mandarin Oranges + Animal farm. 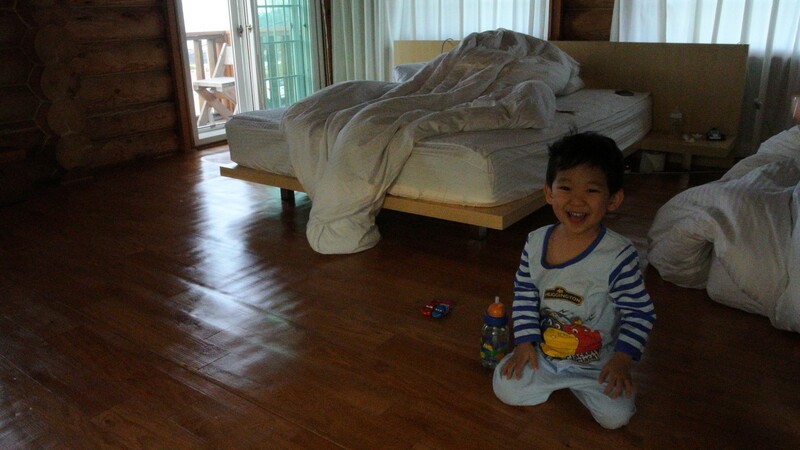 The farm that I went to is located in Seogwipo Area. articles. Keep up the great work! You understand, a lot of people are looking around for this info, you could aid them greatly.